Leonid Kulikovsky – a grandson of Grand Duchess Olga of Russia (1882-1960) - died of a heart attack on 27 September 2015, while walking his dog in Katherine, Northern Territory, Australia. As Kulikovsky, who was born in Denmark in 1943, lived alone, his body was kept in the morgue for two months as no one contacted the authorities. Police later found his relatives in Denmark. This somewhat sad piece of semi-royal news reached us recently, and made us think of other members of the Gotha who have chosen to retire from Royal life in favour of privacy, and sometimes solitude. King Gustav IV Adolf of Sweden (1778-1837). After his abdication in 1809, he divorced his wife, left his children, and travelled aimlessly through Germany. He ended his days as “Colonel Gustafsson” in a small Guest House in St Gallen, Switzerland. 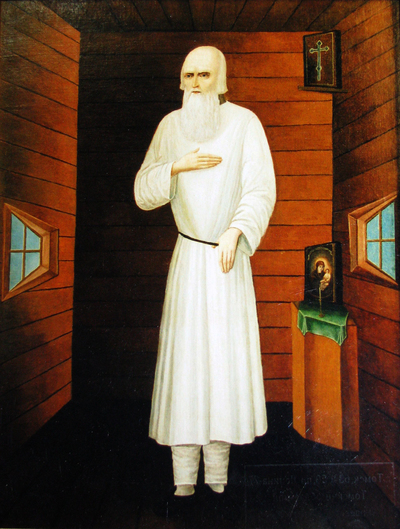 Tsar Alexander I of Russia supposedly died at Taganrog by the Sea of Azov in 1825 but persistent rumours claim that he staged his death and lived on until 1864 as an Orthodox monk, Feodor Kuzmich. It was said that he wanted forgiveness for any role he may have played in the assassination of his father Pavel I in 1801, or simply for benefiting from the action of those who did slay the tsar. Madame Royal – Marie Thérèse Charlotte of France (1778-1851) – the daughter of Louis XVI and Marie Antoinette. She was thought to have escaped to Germany, hiding in Hildburghausen as “Die Dunkelgräfin” after 1795 while an imposter took her place. DNA testing has however recently proven that the lady buried in Hildburghausen was not a Princess of France. Johann Orth and Leopold Wölfling, former Arch-dukes of Austria/Tuscany, chose or were forced to live their lives in exile and under new names. Prince Christopher of Yugoslavia (1960-1994) a science teacher, known as Chris George, who died in a bicycle accident on the Isle of Islay, Inner Hebrides, Scotland. He lived by himself in a rented house, and told colleagues nothing of his past.